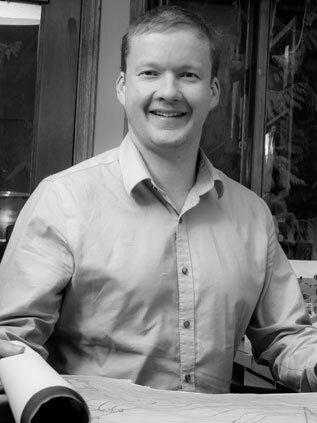 Eric Callender | Eric Callender | Ecosign Mountain Resort Planners Ltd.
Mr. Callender has been a member of the Ecosign team since 1997 and is a graduate of the Architectural and Building Engineering Technology Program from the British Columbia Institute of Technology. As a key member of the Ecosign team, Mr. Callender contributes to the mountain master planning and base area planning of Ecosign’s projects worldwide. Specific mountain planning skills include: ski trail and ski lift planning, detailed lift terminal grading, ski trail grading and terrain modifications, terrain park and halfpipe design, and snow tubing park design. Eric has personally conducted ski trail and ski lift field layouts, performed existing ski trail GPS surveys, and completed detailed site inspections for mountain resorts in numerous countries including Canada, the United States of America, Russia, Lebanon, Spain, Switzerland, Australia, New Zealand, Ukraine and Kazakhstan. In addition to his mountain resort planning and design experience, Mr. Callender is an expert in Computer Assisted Design technologies, which allows him to incorporate state-of-the-art techniques such as three-dimensional modeling and visualization throughout the design process. Mr. Callender’s professional experience also encompasses custom architectural residential and commercial design, building permit and development permit applications, and construction management. Eric is a C.S.I.A Level III Ski Instructor and C.S.C.F. Level II Ski Coach, and is also an avid backcountry skier and a proficient snowboarder. Other personal mountain recreation interests include terrain-park riding, cross-country and downhill mountain biking, and paragliding.